Cozy, sophisticated venue offering seasonal New American fare, eclectic fine wines, craft beers, cocktails, and local art. 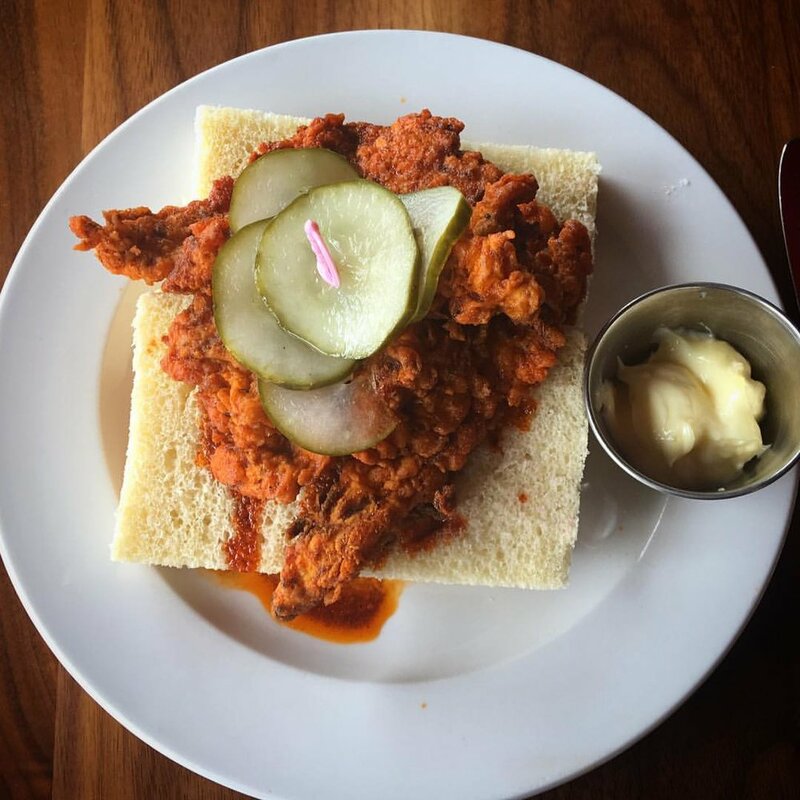 Nashville-style hot chicken features spicy fried Buttonwood Farms chicken breast, house pickles, soft focaccia, & mayo on the side. The ginger mascarpone icebox cake has become one of our most popular desserts. It features layers of gingersnap cookies and whipped mascarpone cheese with candied ginger. Sycamore began in 2005 from a desire to support ourselves and our families by doing what we love; cooking and serving food and drink to our friends and family. Our children have grown up here, our staff have continued as chefs in their own restaurants, and our commitment to our friends and family has broadened to our community and those just passing through Columbia. Our goal is to enrich your dining out experience in Columbia by offering locally sourced, well crafted dishes in a lively, comfortable atmosphere. Whether you're celebrating a special event or need a quick bite and a drink at the bar, we hope to make you a regular.